In New Zealand a woman who hit two boys with household items, including burning one of their mouths with a hot spoon and poker, has lost her name suppression. 60-year-old Shahidan Nisha appeared in the Christchurch District Court on Tuesday. 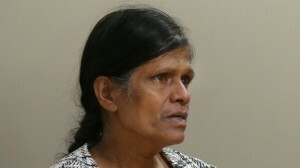 Nisham, who is Fiji-Indian, has been in custody since a jury convicted her on 27 charges in May. The charges involved assaults on the two boys over a long period, and a man aged in his 80s. The Crown said the boys were slapped, kicked, punched, and hit with sticks or household items.